I usually use django’s custom management commands to do different tasks on the web application, most of the times with a cron job running those commands. The problem is that when you’re using a cron job, you won’t get the beautiful django error email when something goes wrong. 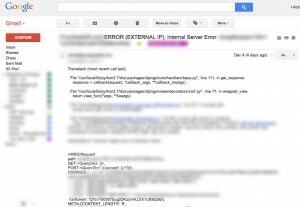 You can of course log all the commands you run and the cron jobs you have in files, but the problem is that sometimes you need to be notified instantly via your email, so here’s how to make django management commands send you the errors email. If you check django’s logging documentation you will find that it has a built-in handler called AdminEmailHandler this handler sends an email to the site admins for each log message it receives. So basically all you need to do is to tell your django commands to log the errors using a logger with that handler, and you’ll receive the emails. #Raise the exception again so it gets logged in standard error also. 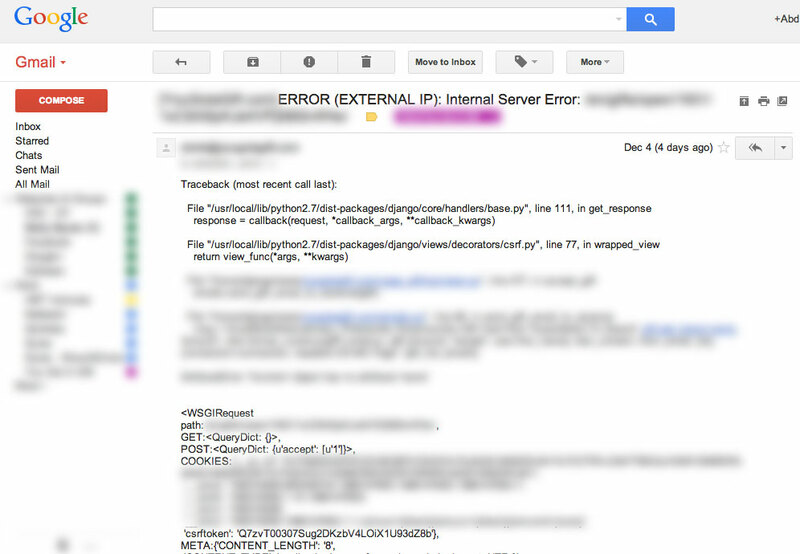 This way all the commands will send the error by email also to django admins. Excellent! Searched for a solution for that a while ago already, and just did it again finding your neat solution! An excellent solution! Thanks for sharing, it has saved me a lot of research and experimenting.